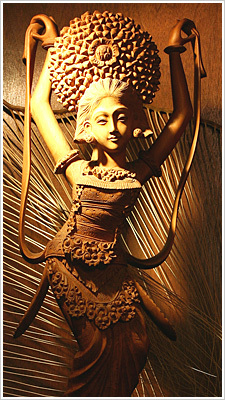 Opened in 1993, Sate House is famed for the authentic Indonesian cuisine. The owner is a Chinese Indonesian family who is passionate about Indonesian cuisine and desire for Taiwanese friends to be able to taste the real Indonesia flavor. Ultimately, they established a gourmet with old word of mouth “Rock Corner” also known as SATE HOUSE Authentic Indonesian Cuisine Restaurant. Compare to other Southeast Asian cuisine, Indonesian cuisine is not focused on hot and sour taste. Instead, spices, sauce, fresh extraction and heat control during cooking will naturally provide guest with excellent taste enjoyment. Sate house insist on complicate, laborious and time consuming cooking method in order to achieve customer satisfaction of enjoying the most exquisite and delicate Indonesian cuisine. The exquisitely handmade Indonesian food has gained deep praise from culinary lovers. Some celebrities & politicians are Sate House regular visitors, such as : Li Yuan-tsu, Ou Chin-der, Yeh Jin-chuan, Jacky Wu, Jennifer Shen Chun-hua, Karen Mok, Siau Phan-phan, Guang Liang, Ding Ning, Sammy Hu Jing-wen, Sun Xing, Stephanie Lim Mei Ching, Hsiao-Yao, Margaret Wang Yu-Chieh, and many more. And not to mentioned, our restaurant is a frequently visited by media and awarded as Indonesian food representative in Taiwan. Each dish is carefully prepared and so every bite is very unique & unforgettable. ◎2012, Sate House was invited to Taiwan Presidential Palace to host the Indonesian VIP. ◎2012, Sate House “Rendang Beef” dish has won the first place in CNN world top 50 gourmets.